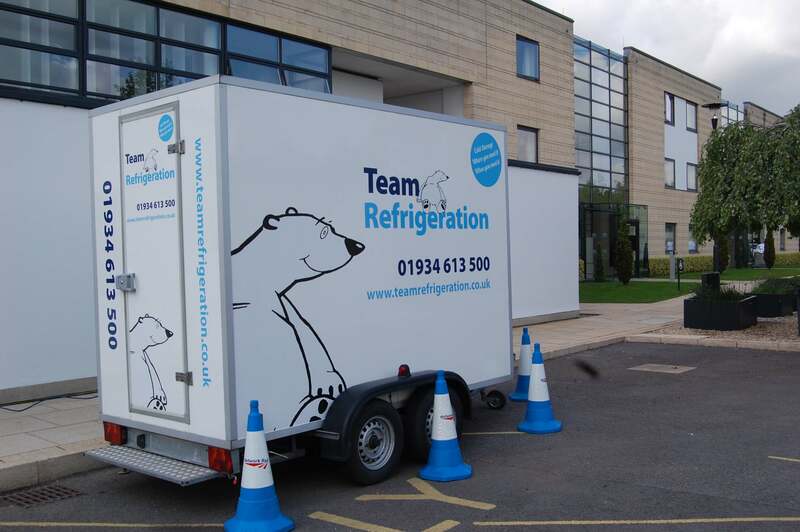 Mobile refrigerated trailers are used to store refrigerated or frozen products. They typically hold things at any temperature from +15 to -15°C. 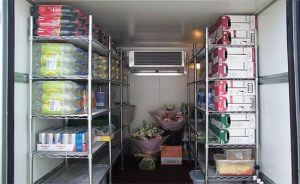 Items most commonly stored in our trailers are fresh or frozen food and drink and even ice cubes. They can also be used for cold storage in engineering applications. Sometimes materials or components need to be held at reduced temperatures before testing for example. They sometimes have unusual uses too. For example, the best way to destroy the larvae in moth infested clothing or soft furnishings is to hold to hold the items below 0°C for a couple of days. You can read about how we helped save a collection of period costumes in Julian’s blog. Refrigerated trailers use a standard domestic 13 Amp supply. Most refrigerated containers need a 3-phase supply. Trailers are much more versatile, take up less space and can be used to store almost anything that needs chilling. Because the motors are 13 Amp, trailers are mainly used as holding rooms. They can be used to chill drinks overnight for example but cannot be used to freeze food from warm or ambient. Food must be frozen when it is put in the unit then the motor will maintain the temperature. We hope that’s given you an insight into what you can store in a refrigerated trailer. If you have any questions about specific items, just let us know.